Retiree Tom Miller was recently talking with his friend Aaron Chow about an investment Mr. Miller had made in Rich Uncles Real Estate Investment Trust I, a property fund whose shares don’t trade publicly. Mr. Chow studied its website, read every page of every regulatory document the company had filed, researched its accounting practices and peppered its investor-relations staff with phone calls. By the time he was done, even the REIT’s chief executive knew who he was. A month ago, Mr. Chow turned 19 years old. His story — and his approach — show that even in a market dominated by fast-trading computers and by index funds that do no research on their holdings, intrepid individual investors can still distinguish themselves with diligent research. 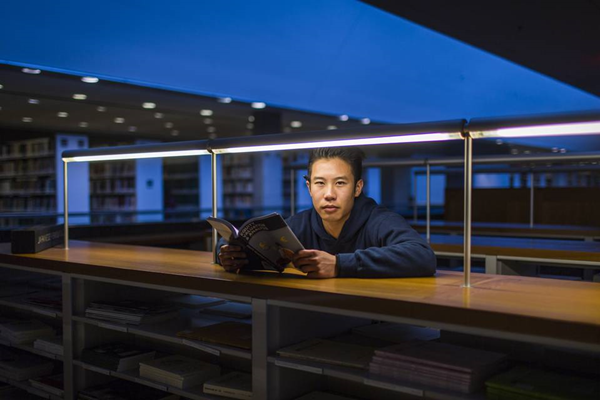 Mr. Chow, now a freshman majoring in economics at the University of California, Berkeley, is curious, skeptical and relentless in the pursuit of information that others may have overlooked. Benjamin Graham, mentor to Warren Buffett, defined two basic types of investors in his classic book “The Intelligent Investor”: defensive and enterprising. 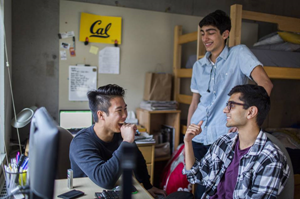 TOP: Aaron Chow, left, speaks with his dorm roommates Siddharth Karia and Kaushal Partani. BOTTOM: Mr. Chow speaks on the phone. Photo: Eric Kayne for The Wall Street Journal. While other teenagers were playing “Minecraft” and “Grand Theft Auto,” Mr. Chow was reading Graham’s masterwork, “Security Analysis,” and teaching himself how to read companies’ financial reports. He even questioned a highly technical detail: how Rich Uncles conformed with a 2016 rule from the Financial Accounting Standards Board on reporting cash flows. He contends that the way the company changed its reporting makes its business look more robust and its dividend safer. The accounting change does seem to have had the effect of making Rich Uncles’ operating and free cash flows appear larger, says Howard Schilit, founder of Schilit Forensics, an accounting-analysis firm in New York. John Davis, chief financial officer at Rich Uncles, says the change had no impact on the REIT’s cash or net income. The REIT, one of several from the Costa Mesa, Calif.-based firm, launched in 2012 and holds about $130 million in commercial real estate. Finally, Mr. Chow noticed that Rich Uncles hadn’t filed a report to disclose that its independent auditor, Anton & Chia, was charged with civil fraud by the SEC in December. Harold Hofer, chief executive of Rich Uncles, says it will soon file a disclosure relating to Anton & Chia and will do “whatever our legal counsel advises us to do.” Securities attorneys say such a disclosure is probably optional. He says Rich Uncles voluntarily disclosed — and is cooperating with — the SEC’s non-public investigation of its marketing practices, which isn’t an allegation of wrongdoing. The company pays quarterly dividends at a 7.5% annual rate; however, there is no public market for its shares, and Rich Uncles warns that it could need to sell properties in order to buy back shares from investors. The marketing statements on its website were all submitted for review to lawyers and regulators, says Mr. Hofer. 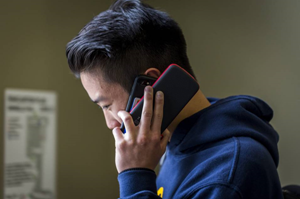 Mr. Chow was valedictorian of his high-school class and, as a first-year undergraduate, is taking an MBA course on financial analysis and valuation at Berkeley’s business school. His professor in that class, Panos Patatoukas, says Mr. Chow is “in the top 1%” of students he has taught at any level. Mr. Miller, the friend who asked for Mr. Chow’s advice, still holds the fund after his financial planner advised him to keep it. Even so, this young investor is living proof that there is still scope for humans to analyze investments in a financial world dominated by machines.